A wealth of resources exist that are geared towards serving the needs of toddlers, school age children, young adults, and senior citizens. But something's missing. Library users in their 20s and 30s constitute one of the most underserved populations and there's a scarcity of guidance on how to target them. 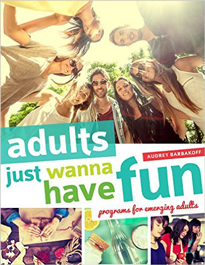 KRL's Adult Services Manager Audrey Barbakoff's book Adults Just Wanna Have Fun: Programs for Emerging Adults (2016) helps to fill that gap. 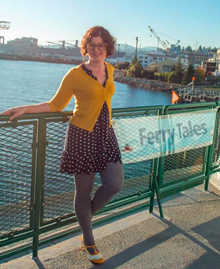 Barbakoff, a 2013 Library Journal Mover & Shaker who was also named one of Flavorwire's '10 of the Coolest Librarians Alive', shows how to draw emerging adults to the library using a mixture of play and engagement and keep them coming back for more.